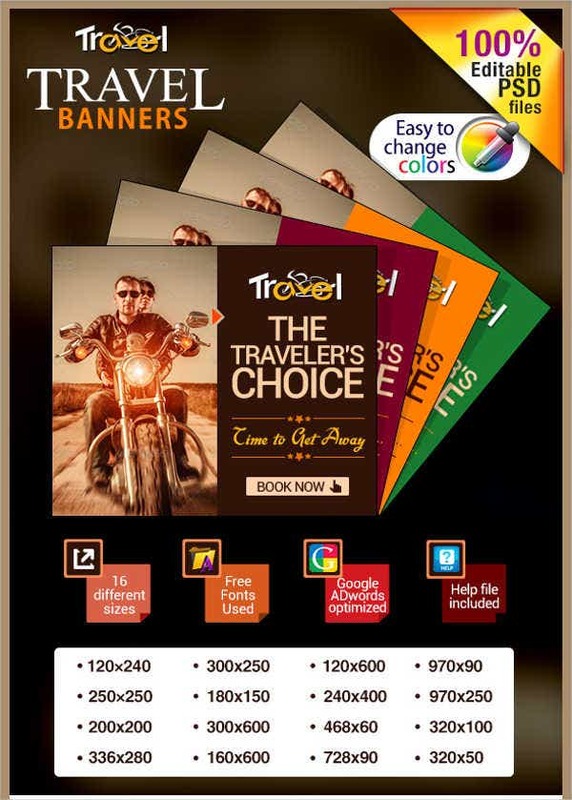 A travel banner designs is very useful as a marketing tool in the hospitality and tourism industry. 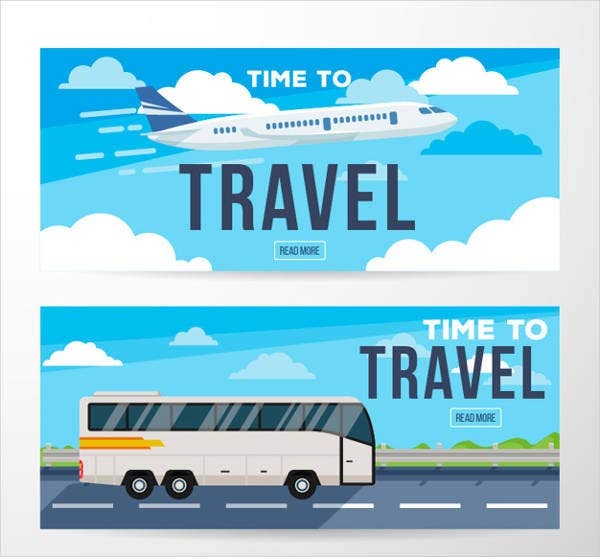 Travel banners can be used by transportation companies, hotels, resorts, and even cities if they want to promote destinations and travel locations. 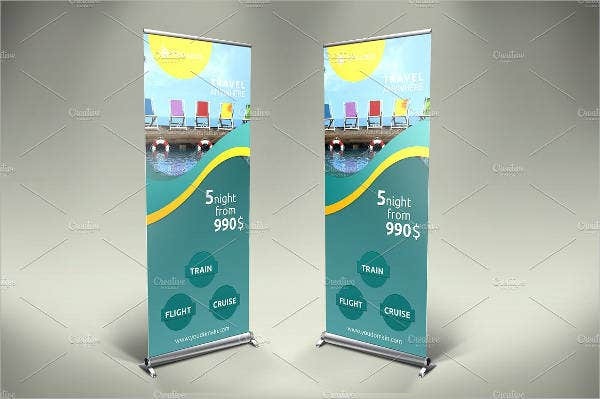 Travel banners may differ in terms of their content as they serve their purpose varying on how they are needed by the company that will use them for advertising and promotional activities. You can download our travel banners if you want to see samples of how they are used on different processes. 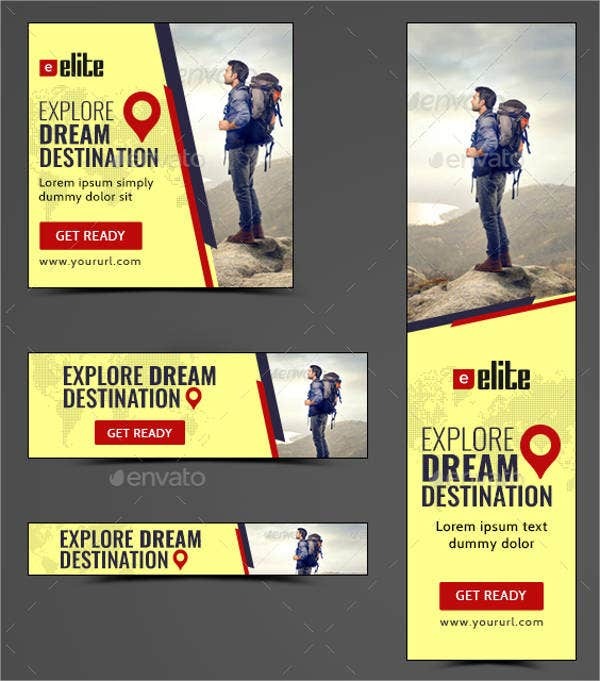 Moreover, we also have available samples and templates of Hotel & Travel Ad Banners that you can download if you want references regarding its content and proper visual appearance. It can be used as a promotional tool that they can bring and set-up during trade events, conventions, and other gatherings where they can sell their services. It can be used as a marketing tool where the current pricing and service packages that are being offered by the business are listed. 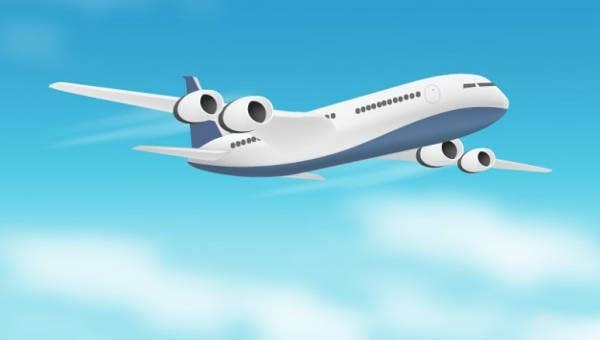 It can also be placed in different locations so that they can have a wider market where they can provide their expertise in the travel industry. Aside from our travel banners, you may also be interested to download and use our samples and templates of Banner Designs. 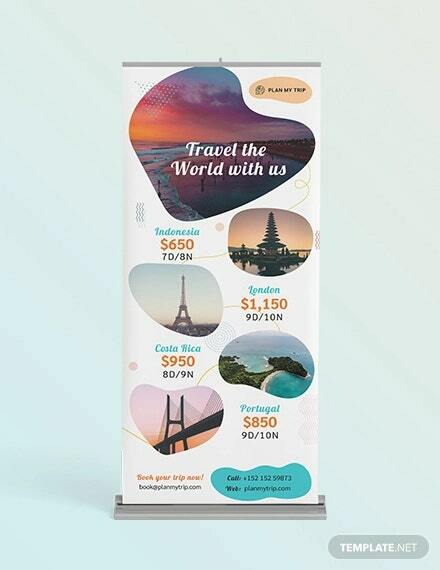 Travel Display Banner. Your typical, run-of-the-mill banner you could use generally everywhere. 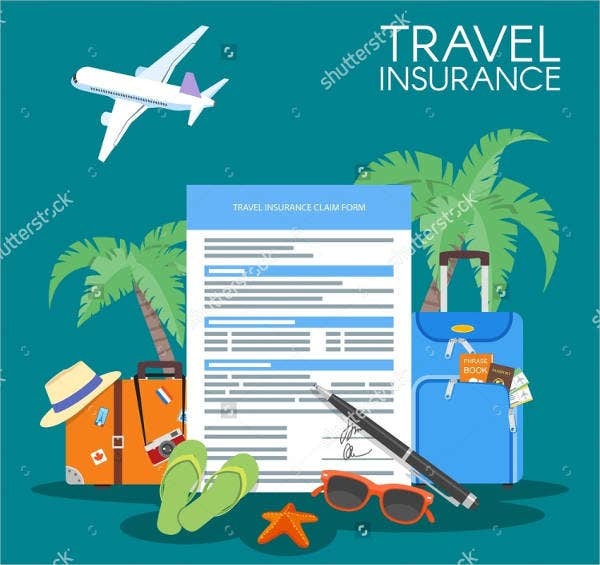 Travel Insurance Banner. 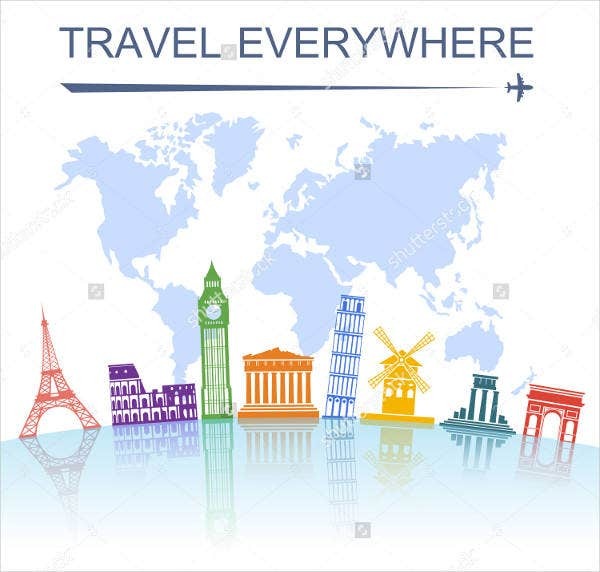 Travelers need that extra protection in case of unforeseen events in their travels, and insurance companies can take advantage of this template. 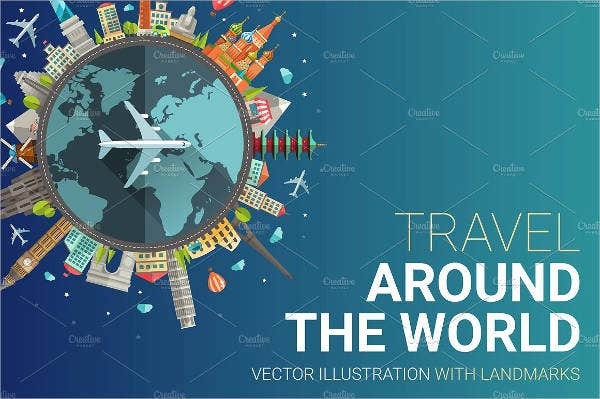 Vacation Travel Banner. 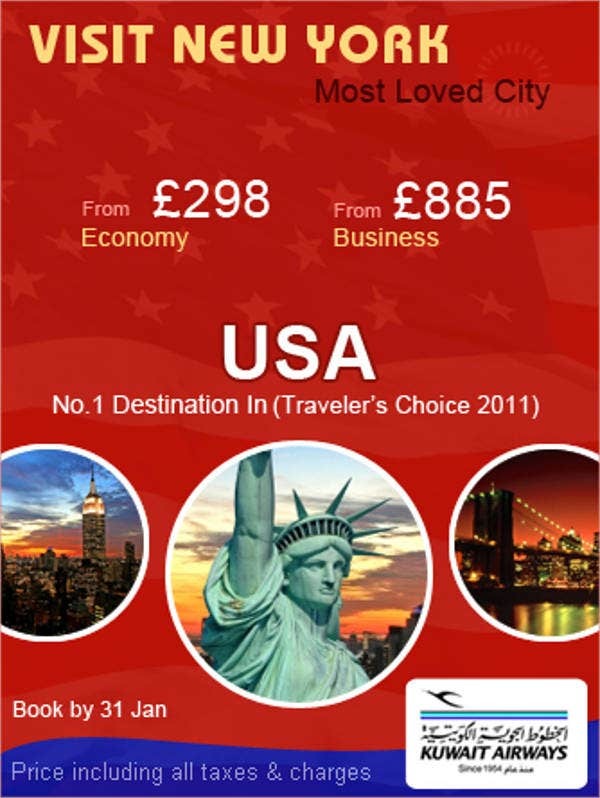 A great banner to pick up to simply showcase what your travel agency offers. The minimalist, muted background goes well with the flash and glamour that comes with traveling. 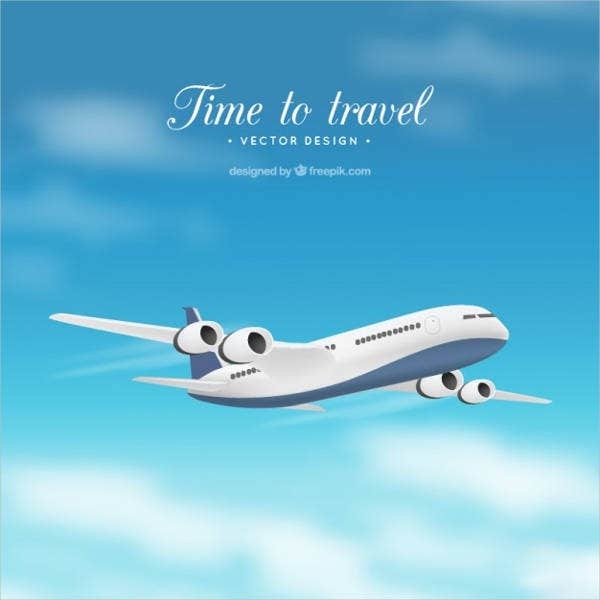 Travel Web Banner. Great for online advertisements. 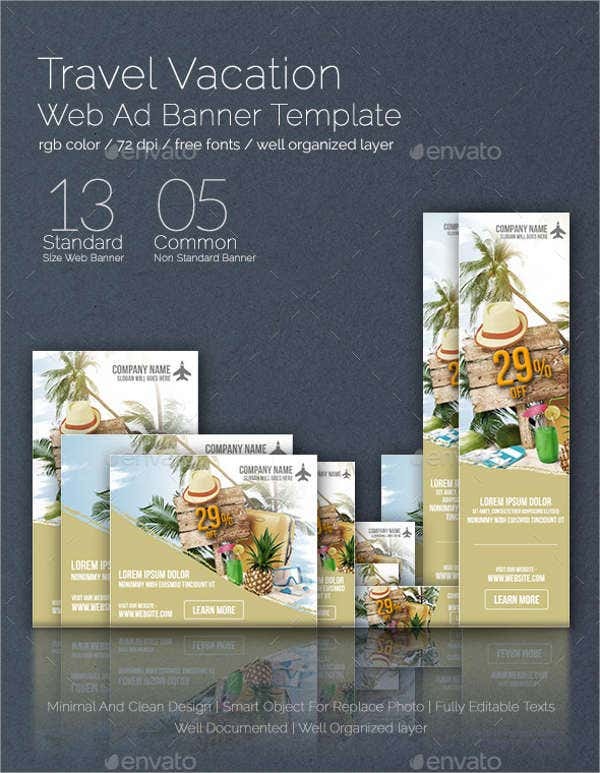 Other than our travel banner templates, you may want to browse through our samples and templates of Banner Ad Templates.